DENISE HUANG is a queer, 2nd generation Chinese American woman and current student at Mount Holyoke University, a women’s college in Western Massachusetts. Denise, as self-proclaimed “Asian American history geek,” came to APIENC in the summer of 2015, and has been helping to build up the transcribing and coding process for our Dragon Fruit Project. Denise has had a multitude of volunteer experiences all throughout high school, but her investment in API identity, politics, and community came when she left the Bay Area to attend college. 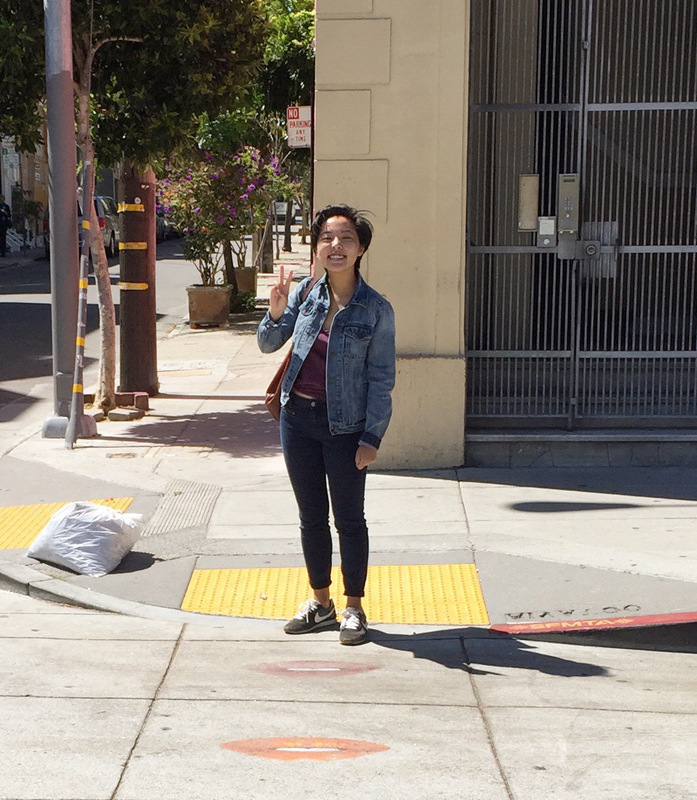 Coming back to the Bay Area for summer break, Denise wanted to volunteer with a community that matched her own identities, a community with shared goals that would keep her coming back. Through deep readings of the transcripts and and with stellar academic and research skills, Denise was able to revamp our Dragon Fruit Project categorizing system! By identifying key themes and moments in history that have occurred throughout multiple transcripts, we are shaping the narrative an LGBTQ API community in the Bay Area. Thank you for all the laughs, fun, and dedication you brought to the office this summer, Denise! FUN FACT: Currently, the capstone of Denise’s bucket list is to have a Wikipedia page, or to at least win at pub trivia.